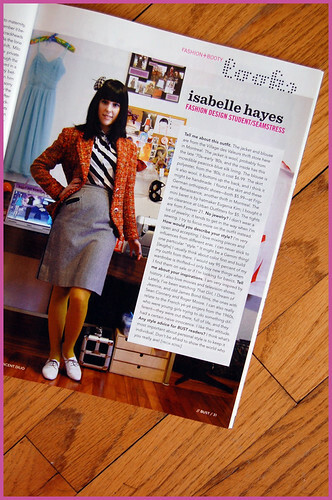 this one's all about the lovely, creative izzy hayes, who hails from montreal, quebec, canada. check her blog out here! she's been on wardrobe_remix since almost the beginning (i think? ), and was absolutely a dear...we could have talked for hours. which is the case with pretty much everyone i've chatted with so far...such fascinating women, with such imitable style, and a plethora of intelligent, interesting things to say about fashion and so much more. such an honor to do this! i find it incredibly fun. 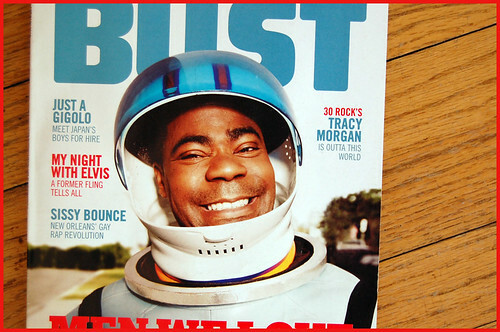 as always, thanks BUST! and thanks izzy!